Both the front and back gardens are often overlooked when it comes to renovating our homes, but we provide a complete landscaping design in Poole that will transform your gardens into a beautiful space. Whether you want to entertain friends and family members in the summer or simply relax on the warm evenings, Bamboo Landscapes will cater to your needs. Here at Bamboo Landscapes, we are fully equipped to completely overhaul your garden and turn it into a hub for relaxation or creating memories with the loved ones in your life. Our company provides a complete service for our customers including hard and soft landscaping or both if required. Hard landscaping refers to the use of high quality materials i.e. brick and stone to create permanent features in your garden. Soft landscaping involves plants, vegetation, and trees to give you a stunning garden which is full of depth, texture and colour. A landscaped garden will draw the human eye to the natural beauty of your garden and wow visitors to your home. We can cater for everything from fencing to driveways and general landscaping. Our company has always offered professionalism and affordability in our expert field of landscaping and will always continue to do so – Bamboo Landscapes is a name that you really can rely on. With many companies offering landscaping design in Poole, you will to choose the best of the landscaping services. 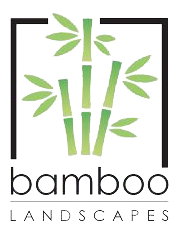 At Bamboo Landscapes, we are more than just a gardening company, and we are devoted to exceeding our customer’s requests. In our many years of experience, we have continued to be affordable, professional, and we are willing to go that extra step to ensure that you are delighted with the results. Our team is composed of experienced landscapers with years of experience in the landscaping business. 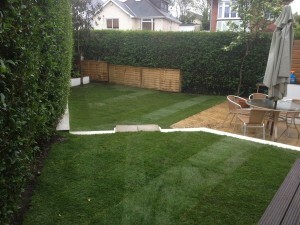 We have helped to realise the landscaping dreams of many customers in Poole. Visit our gallery for previous examples of our landscaping design in Poole projects. Contact us today for the best landscaping design Poole offers. We are passionate about what we do, so please don’t hesitate to make a phone call to one of our experienced landscapers to ask any question that you may have.